Last night I spent an hour or so making those 8 hash tag blocks. They go together quickly, if you are making a bunch of them. The blocks are trimmed to 5.5" and it takes 180 blocks for a quilt. The tutorial for the block is here. My internet friend Joshua, who blogs over at Molli Sparkles, has asked the quilting world to help him make some quilts for the families of the people who lost their lives in the siege in the Sydney, Australia shop this week. You can read his Help for Sydney Heroes post here. 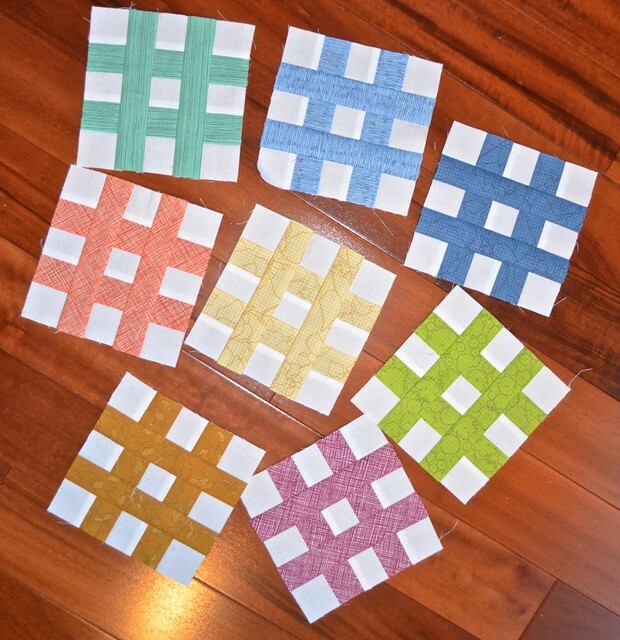 His plan is to make a quilt for each family, or, if enough blocks arrive, he will make 6 quilts - you can read the plan and the handy FAQ here. I hope you will take a minute to send some blocks too. If we all work together, we can send a hug and a message of goodwill to those families and to the folks of Sydney. They do got together quickly. Hoping to get mine in the mail by the end of the week. Lovely blocks Leanne - hoping to make some soon too! Thanks for sharing this Leanne. sorry will not be able to make any due to the deadline of early january but having popped over to read about it I am sure there will be more than enough for all 6 quilts, such tragedies in this world today, so distressing all the little children lost in Pakistan it makes me weep. Wowza they look pretty together! I made 3 last night and they flew together! Might make a few more before posting this weekend.